Visiting New York City is often on the top of travelers "must visit list". It tops the list for travelers around the world seeking history, world class cuisine, Broadway shows, and more. Known as the melting pot, New York City is home to a diverse population of people and also attracts a diverse vacation crowd. People travel to New York City from Japan, Germany, Italy, and Austria just to name a few. As it is one of the most sought after cities to travel to, it is very busy most of the year. In fact, there isn't isn't much of a low season in New York! Mid January through the end of December is very busy as tourists travel at various times of the year for different holidays and breaks. So if New York City has made your travel bucket list, please plan ahead! 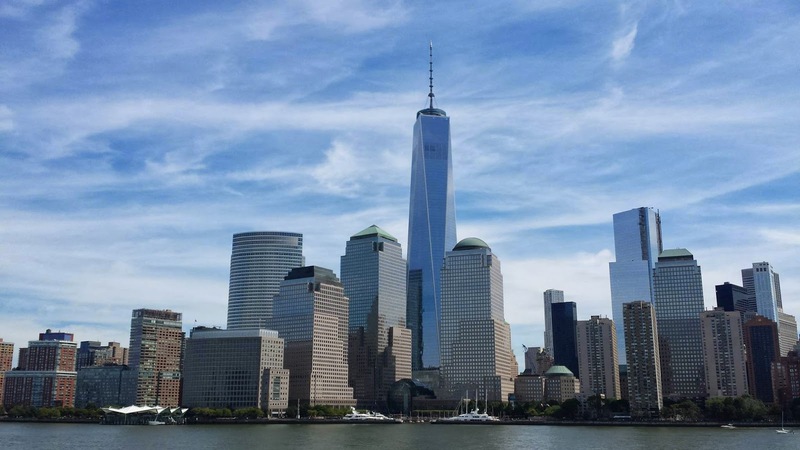 We have put together a quick travel guide to New York City with some of the top attractions and some tips from our travel specialist. Where all the action happens! Times Square is word-famous for it's bright lights, shops and vendors, and of course people watching. 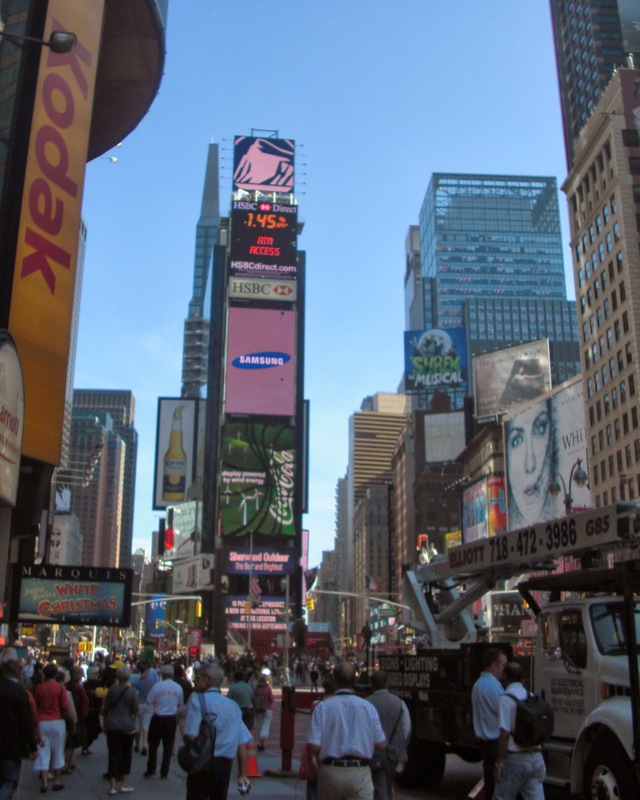 While in Times Square, visit the Madame Tussauds Museum which features celebrity wax statues, catch a Broadway or Off-Broadway show, or just people watch. TIP: If you want to see a show while in New York, visit the TKTS Discount Booth in Times Square to get discount tickets. I was able to save over $100 and had great seats! Undeniably the most famous and recognizable landmark in the city, the Statue of Liberty is a must see for those who enjoy history, or may know that their family immigrated to seek a better life. 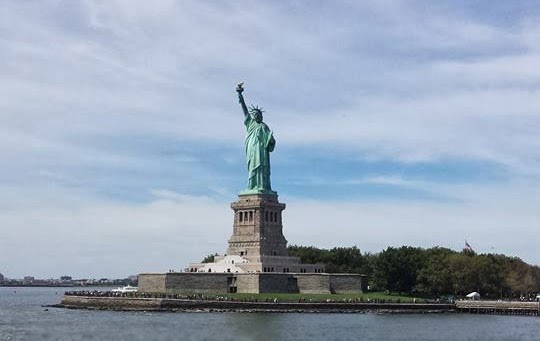 Take a short ferry ride to the island the statue stands on to get a close up viewing of what Lady Liberty stands for. You can even look in the book of immigrant entries to see if your family is listed! One of the most visited parks in the world, this 843 acre park is home to some of the most beautiful views around. While visiting the park, check out the Belvedere Castle, during the summer months visit the free performing arts festivals, and of course visit the zoo! But, don't forget to just stroll through the park and take in the sights of the ponds and beautiful gardens. There are many other attractions in New York City, such as the Empire State Building which boasts beautiful views, the Brooklynn Bridge which connects Brooklynn and Manhattan (bring your walking shoes!) and so many more. To visit New York City, it's best to bring comfortable shoes for walking, as this great city is extremely walkable and you will have a lot of attractions to see! At the end of your day, come home to your well appointed New York City vacation rental apartment! This is a great way to experience all NYC has to offer and live like a local. Be immersed in the wonderful neighborhoods of New York City and walk to the markets to pick up items for you dinner or to the numerous restaurants the city has to offer. With hotel rates upwards $400.00 for a shoe box size room, the New York City vacation rental apartments offer more space for your money! Here are a few of our many offerings for accommodations in New York City. 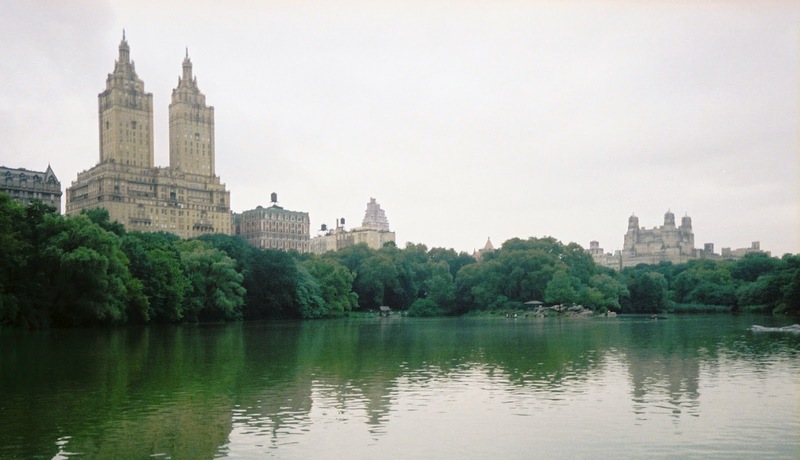 Stay in Central Park's finest neighborhood! This 3 bedroom Central Park vacation apartment offers so much! With a spacious living area and kitchen, you have all the room you need to feel right at home. If you need less space, try this one bedroom vacation rental apartment! Decorated with modern furnishings and featuring an original brick wall you will have a nice, bright, and clean place to come home to! Stay right where the action happens! This modern 1 bedroom and 2 bathroom vacation rental apartment is very well equipped with a spacious layout, and it's in a superb location. These are just a few samples of our vacation rental properties in New York City. If you are traveling to New York and would like to find out more about our properties, feel free to contact our travel specialist! We love to help our travelers find the perfect place for vacation! PerfectPlaces.com has over 60,000 vacation rental properties in over 79 countries. Perfect Places is dedicated to helping travelers find and rent vacation rental properties worldwide. Vacation Rental properties offer a compelling alternative to Hotels for travelers seeking additional space, amenities and value that Hotels are often unable to match. Perfect Places is a privately owned company headquartered in Mountain View, California. Are you looking for last minute hotel lodging for the NCAA East Regional Men's Basketball Tournament? Look no further-we have you covered! New York City is the host of the East Regional game and hotel rooms are extremely full and overpriced. 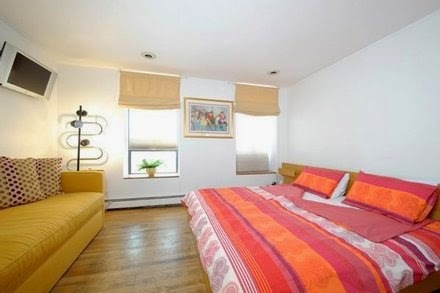 So, why not stay in one of our wonderful New York City vacation apartments! What is the benefit of staying at one our our vacation rentals for the NCAA tournament? For starters, you will get more space(often 1-3 bedrooms)for less than the price of a hotel. Plus, you will have a kitchen or kitchenette as well as a living room to host your pregame festivities! Why not split the vacation apartment with others and save even more! With just 14 remaining vacation rentals available during the tournament game, booking is very time sensitive. Here are just a few examples of our amazing New York City vacation rentals that are available for last minute booking during the NCAA East Regional Tournament. 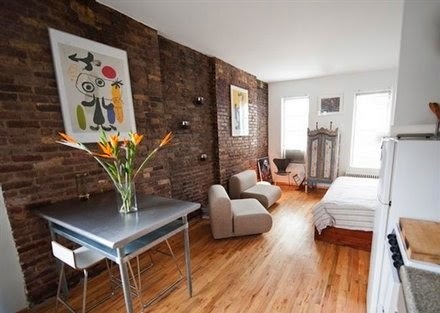 Here is a wonderful New York City vacation rental apartment just 1 minute away from Madison Square Garden where the tournament takes place! Walk out your door and be at your seats for the game within minutes! Enjoy your full living room, patio and close proximity to grocery stores and restaurants! If you seek more space, this modern two bedroom vacation apartment is a fabulous choice! Hop on the train and it will take you right to Madison Square Garden in about 15 minutes. It is also just a short walk from Central Park and other top NYC attractions. This is a great choice for you stay in NYC! 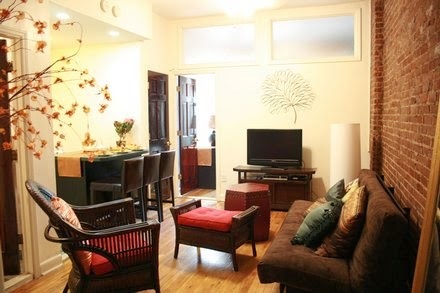 Another great vacation apartment near Madison Square Garden is this one bedroom apartment that sleeps up to 5 people! This great apartment is within walking distance to the NCAA Tournament game which makes it a very convenient option. With a grocery store and restaurants within a few minutes walk, you will have everything you need at this great NYC vacation apartment. These are just a few of our remaining properties in New York City during the NCAA tournament! Have a look at our other available properties, and find the perfect place for your vacation to New York City. We hope you have a great time at the NCAA East Regional Tournament and have a great stay at your vacation rental. If you are traveling to New York City and would like some tips, read our article about Top New York City Attractions!